The publication of Displaced Allegories, by Negar Mottahedeh, augurs promising new developments for the study of post-revolutionary Iranian cinema. Until recently, studies of the rich topics relating to this cinema have been divided between a number of scholars who have produced largely sociopolitical readings of Iranian films as a ‘national cinema’ (e.g. Dabashi, 2001; Tapper, 2004; Zeydabadi-Nejad, 2009), and a small number of scholars of film studies who have been limited by their lack of training in the languages and cultural history of Iran to treat these films significantly beyond a purely aesthetic dimension (e.g. Mulvey, 2006). In between these may be placed a number of auteur studies, largely focusing on the work of one director, Abbas Kiarostami (e.g. Saeed-Vafa and Rosenbaum, 2003; Elena, 2005). But with the publication of Mottahedeh's Displaced Allegories, students of Iranian cinema will find a scholar able to address both the social and the cinematic as well as the auteur dimensions of post-revolutionary Iranian cinema in ways that bring these works into very fruitful conversation with other areas of film studies, in particular feminist film theory. In her introduction, Mottahedeh argues that censorial guidelines set out by cultural authorities in the Islamic Republic ‘confront the voyeurism inscribed in cinema spectatorship’ (p. 10); thus in this period, ‘Iranian cinema posits, and opposes, melodrama's role in establishing the scopophilic coordinates of cinematic realism in the filmic image globally’ (p. 11). 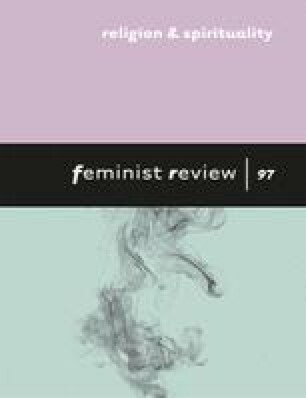 In this, Mottahedeh argues, the codes of post-revolutionary cinematic practice resonate with the aims of 1970s and 1980s feminist film theorists who attempted to envision a ‘negative aesthetics’ to confront the scopophilia of dominant cinema (p. 16). With this link established, she terms Iranian cinema a ‘woman's cinema’ – a claim certain to offer challenges for Western scholars who often would prefer to view Iranian cinema through a presumption of the omnipotence of Iranian Islamist patriarchy (p. 107). Indeed, Mottahedeh's aim is to go beyond the simple ideological binaries that emerge in the division of Western/modernist/feminist versus Islamic/traditionalist/patriarchal, which so often seem to inform the study of Iranian cinema, particularly where gender is concerned. For her, the paradox of Iran's ‘woman's cinema’ is that it has led to an aesthetic revolution in filmmaking that should inform feminist film theory. The analytical dimensions of her study focus largely on readings of works by three significant directors – Bahram Bayza’i, Abbas Kiarostami and Mohsen Makhmalbaf. Through a series of close readings of scenes from selected films by each director, Mottahedeh continually returns to a framing question: ‘what might post-revolutionary Iranian cinema contribute to a feminist critique of international films?’ (p. 140). In the analyses that follow, Mottahedeh pursues a set of discussions of her selected film texts that should excite film scholars, and which reset the measure for film scholarship on Iranian cinema to one much higher than has been predominant to date. Her methodology, which is fundamentally one of close reading, depends not only on an engagement with a variety of film theory concepts, but is at the same time flexible and reflective, allowing the films themselves to dictate the theoretical framework rather than the other way around. While her readings of selected works by Bayza'i (Chapter 1) and Kiarostami (Chapter 2) tend to overshadow the treatment of Makhmalbaf's work (Chapter 3), nonetheless each engagement offers new insights into the films of all three directors, and makes clear their unique contributions to the development of a post-revolutionary cinematic aesthetic. Although for the most part Mottahedeh's analysis is original and provocative, there are occasional points that suffer from underdevelopment – something that is quite understandable given the broad ambition of the study. For example, quite often the reader finds that specific discussions linked to the very singular works of these three filmmakers are then summarized to seemingly represent all of post-revolutionary Iranian cinema. In this, the distances between art-house auteur cinema and popular cinema in Iran are overlooked, despite many differences between them. Given this, the question remains unanswered: if both sectors are covered by the same censorship codes, why have they adopted such different aesthetic responses? However, rather than disappoint, even such ellipses only serve to remind the reader of the fact that the study of post-revolutionary Iranian cinema requires much more substantive study, and that the field has too long lacked the theoretical sophistication or originality of work such as Mottahedeh's. These gaps are largely a result of the nearly impossible task Mottahedeh has faced in needing to both lay out general foundational arguments about Iranian cinema as well as to develop nuanced theses on questions of aesthetics and ideology as read through selected films. Nonetheless, there is no doubt that Mottahedeh's Displaced Allegories must be seen as a major and welcome intervention into the field of Iranian cinema studies. Beyond inspiring students of Iranian film and cultural studies, one hopes that the work will also challenge other film theorists to look anew at Iranian cinema, reframing the application of feminist film theory to non-Western cinemas.